Today I'm going to talk about an amazing Nectar de Miels Ultra Nourishing Comforting Balm by Melvita. The first thing that I have to mention about this cream is the packaging, I love it. Simple round glass bottle with a peach coloured lid and I love the little hexagons on the sides. In it you get 50ml of product and it costs 38,60€. The complex of three organic honeys protects and revitalizes, plant-based glycerine helps restore elasticity, soline repairs, and alphabisabolol softens from the very first application. 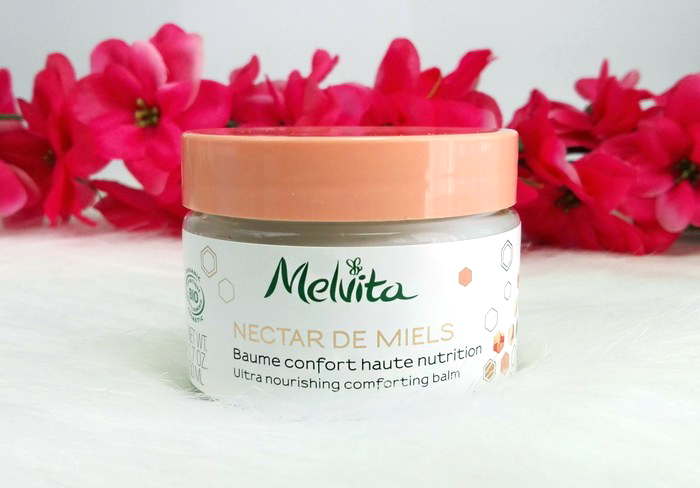 Soothed, nourished and protected, skin weakened by winter feels supple again and can delight in a long-lasting, precious feeling of comfort. 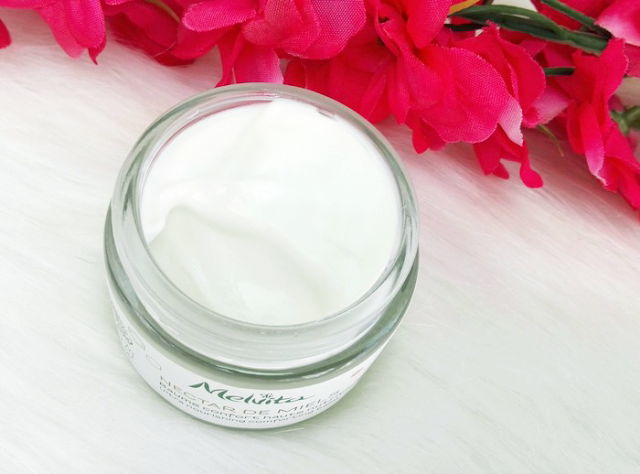 The texture feels quite lightweight, compared to other rich and nourishing creams, but still very nourishing. I feel like it would be a bit too much for my skin if I would use it every day. I use it every second to third day in my night routine. It sinks in quick, but it still leaves a very thin layer on the skin for about an hour or two. 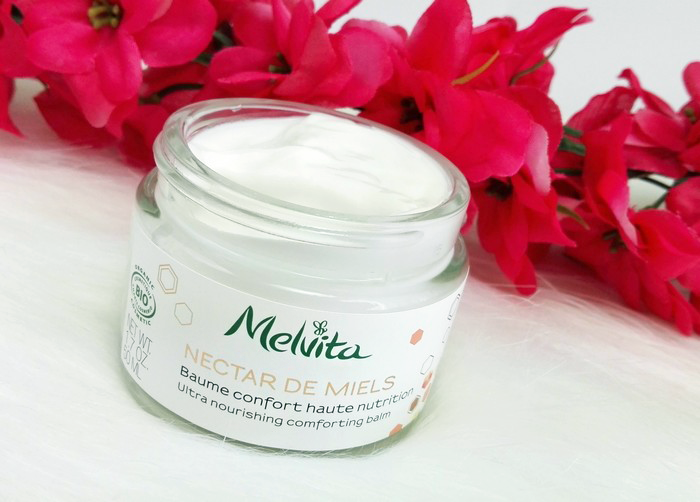 This is my first product I tried from Melvita and I love it, especially the amazing honey scent. Now I know why every blogger writes about them. I use it with my 4 Kids And Us cream and every couple of days, when I feel my skin needs something lighter, I use my Balea Aqua cream. My skin seems to love this combination, it feels better than ever, soft and nourished and it looks healthy too.